Yes, that’s right – flower bombing, not flour bombing! Even though it’s the middle of winter during Wrapped in St Marys, we plan to make it look like spring is in full swing by making flowers to decorate the town. 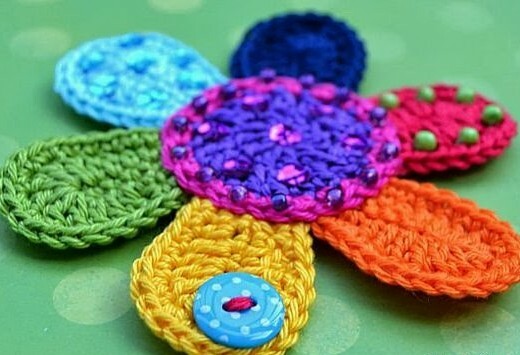 Flowers can be knitted, crocheted, felted or stitched – as long as they are made from fibre and/or textile. All you need to do is to make your flowers, and then early on Saturday morning (19 July 2014), add them to fences, trees, bushes, railings and verandah posts around town. Please DON’T decorate the power poles – we need them for the textile art! Note – I have instructions for a crocheted rose which I re-wrote because they were rather confusing. If you would like to try this pattern, please contact me for a copy.